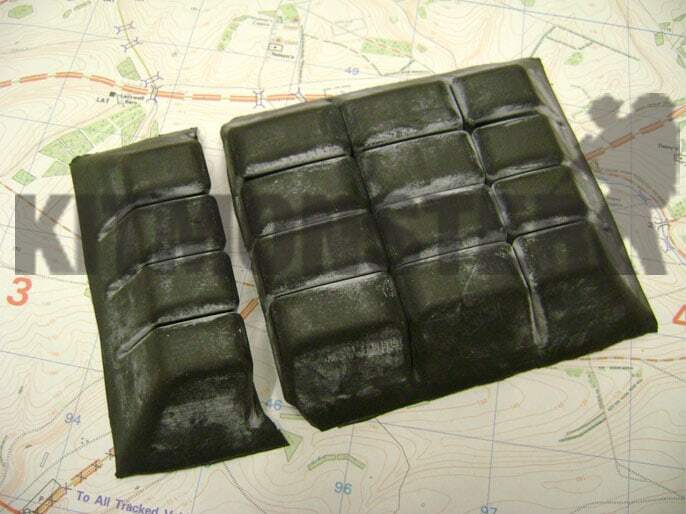 Genuine UK military issue 'Choc Block' helmet Counterweight. Used to counterbalance helmet mounted Night Vision Devices (NVD). 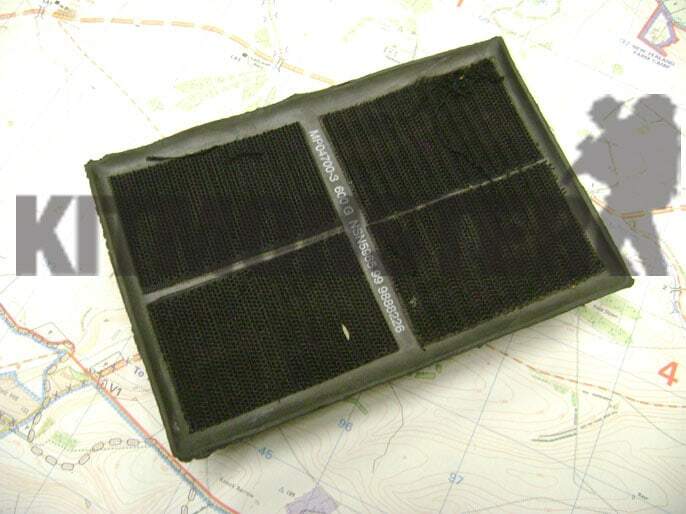 Full block, weighing approximately 570 grammes, as issued, this can be cut down to meet user requirements. Label on bag (when present) reads: 'Counter balance 600GRM'. 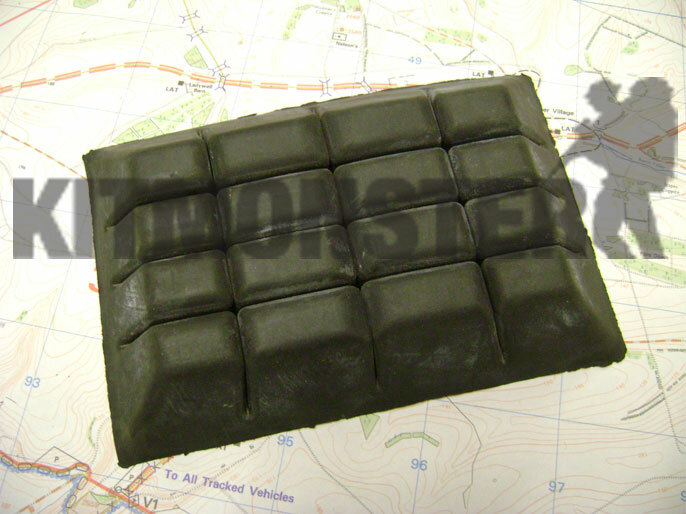 Manufactured by Helmet Integrated Systems Ltd.
Rubber encased metal weights, moulded into 16 individual blocks, to adjust size or weight just cut between the blocks. Cut block for demonstration only, complete intact blocks supplied from this listing. Backed with 4 Velcro patches for affixing to helmet, gaps between these patches for cut lines. Highly sought after kit, rarely available for public sale, these are usually associated with UKSF but are also issued to air crew. Ex UK military issue kit, these are in new in the manufacturer's bag. Multiple views shown, single weight supplied.